Townsend has always been at the forefront of technology, but we approach it through the lens of how can it enhance our artisans skills. 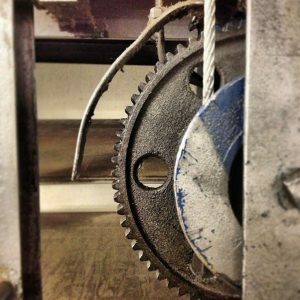 We seek out and explore new capabilities, processes, machines, vendors, and technologies with an aim to utilize the precision and efficiency of mechanics in order to augment the hand craft that our people have been perfecting for nearly five centuries. Being the manufacturer means that not only do we have the luxury of testing, refining, and perfecting process in real-time on-site, but we also get to look outside the industry and gather ideas from all places, then adapt them to fit the needs of leather and our designers. Our artisan craftspeople take serious pride in the leathers they create, especially when they get to explore something new. We welcome the challenge of any design and any dream. If you can dream it, we can make it. This year we are excited to give special highlight to four of our newest and most exciting design capabilities, perfect blends of artisan craftsmanship steeped in history and experience, with state-of-the-art technology. With that blend of skills and capabilities, we are able to mix up any flavor – create a flavor of dreams, of design, of leather for any taste. In love with an image? A photo? 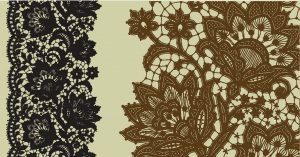 A hand-drawn design? 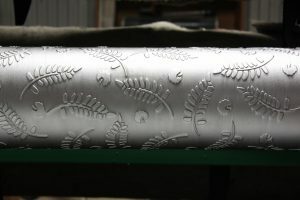 See it permanently, expertly, and perfectly reproduced in full color right onto the leather – through our Digital Printing process. Ink-free, but a lasting and impactful image. 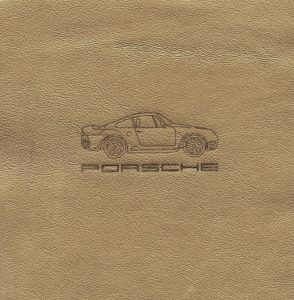 Engraved with lasers, your image, logo, or design pops against the leather background and retains a natural look and feel with our Laser Etching capability. Distinctly unique. 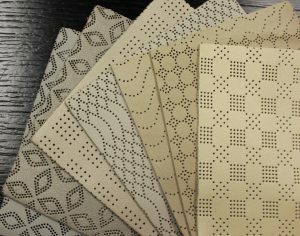 Never before has the removal of something made such a design statement, but perfectly punching out pinholes of leather can create a subtle or striking pattern that becomes the perfect compliment to your design. Our Perforating options are sure to please. The newest, in-house capability of ours. Really ties your design together. 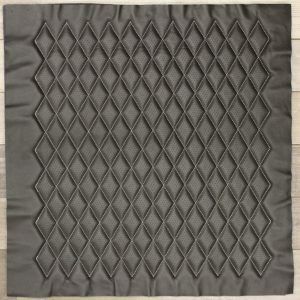 3-Dimensional patterns, stitched right into the leather offer your designs a eye-pleasing tactile experience, crafted with machined precision under the watchful eye of our expert team, our Quilting capability. 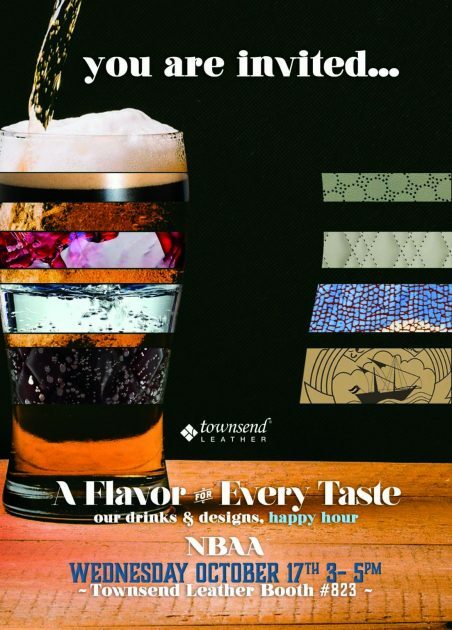 Reach out to your Townsend Leather Rep for more information or to get your hands on samples. Or see them first-hand at our 2018 NBAA booth where we will have examples of each on display.